Some UK universities are putting their purchasing power behind the Circular Economy to save money and reduce their environmental impacts. We showcase the leaders and how they did it. The pressure on universities to improve their sustainability has never been greater. Students, alumni and academics want to see their universities leading the way in environmental stewardship. At the same time, value-for-money remains an imperative. So where savings and sustainability both occur, as with the Circular Economy, there is a clear case for adoption. How to Tell Who is Leading? University league tables are silent on Circular Economy adoption. Greenmetric, one of the most widely used league tables to assess university environmental performance, makes no reference to circular procurement and only reference to a ‘recycling programme for university waste’. Happily, recycling is widely adopted and nowadays expected, but offers no clue as to who the true leaders are. Similarly, furniture and equipment reuse networks, such as the leading platform Warp It, are becoming commonplace; almost half of the university sector in the UK uses Warp It to manage the flow of surplus furniture and equipment on and off the estate, saving an average of £2,312 per month. 18 of the 24 Russell Group Universities use Warp It and between them have saved more than £3 million, avoided 1.6 million kgCO2e and avoided over 600 tonnes of waste going to landfill. While Warp It reduces waste and avoids unnecessary purchasing, swapping unwanted items can involve compromise of quality and so can only impact a limited proportion of University spend. Perhaps a more relevant indicator of Circular Economy leadership is the adoption of remanufactured furniture and equipment. Recent advances in quality of engineered remanufacturing processes mean that no compromise in quality is required. As such, remanufactured items can be used as direct replacements for large proportions of university budgets, so can have a big impact on costs and environmental footprints. So we propose that those universities who purchase remanufactured products may be considered to be at the forefront of the Circular Economy, demonstrating leadership through both their early recognition of the enormous potential of remanufacturing, as well as adoption, which is saving them money, reducing their environmental impact, and creating social value. Imperial College subsequently purchased remanufactured furniture for its Centre of Environmental Policy. For its new SPECIFIC building, which houses leaders in renewable energy innovation, Swansea University chose remanufactured office furniture consistent with its adoption of sustainable innovation throughout (and on top of) the building. Following the success of the common room, the Dean of the Business School has opted for remanufactured furniture and reclaimed flooring for her own offices and plans are underway for wider adoption within the School. All worked collaboratively directly with suppliers to design their requirements and ensure that the products selected could be remanufactured for further lives. That is, they designed solutions extending beyond the single life of the products for greatest sustainability benefits and cost savings. In some cases, these solutions included buy-back offers to ensure that the products are returned to the suppliers, incentivising quality and ongoing remanufacturability. It therefore appears that, despite the large size of Universities, one passionate person can have a substantial environmental impact while working within established processes. Annually, UK universities spend £871 million on student and staff facilities, including office furniture and equipment. 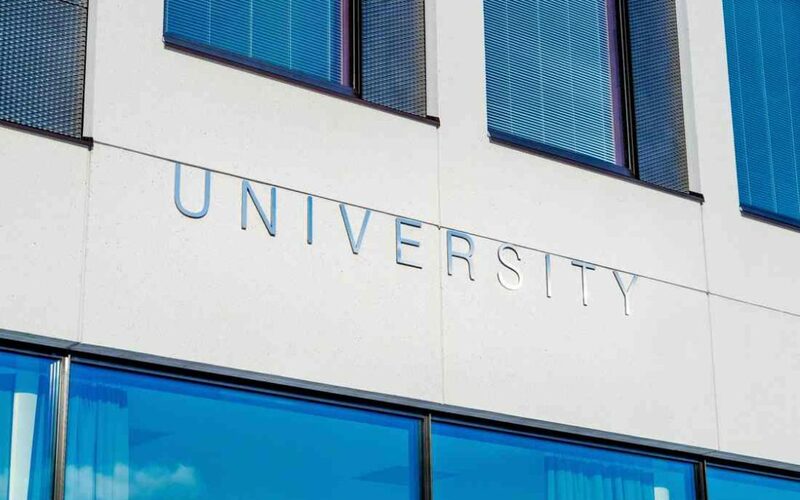 A greater emphasis on the Circular Economy through procurement can help universities meet waste reduction targets, reduce costs and support the growing number of companies committed to building the Circular Economy. About the author: Dr Greg Lavery has improved the profits of organisations around the world through the introduction of more sustainable business approaches. For Origin Energy he started and grew to market leadership a billion dollar solar business. Greg has developed sustainable business models for organisations including Shell, CIMIC, ClimateWorks Australia and Masdar City. He is a regular speaker at a number of Cambridge Institute for Sustainable Leadership courses.